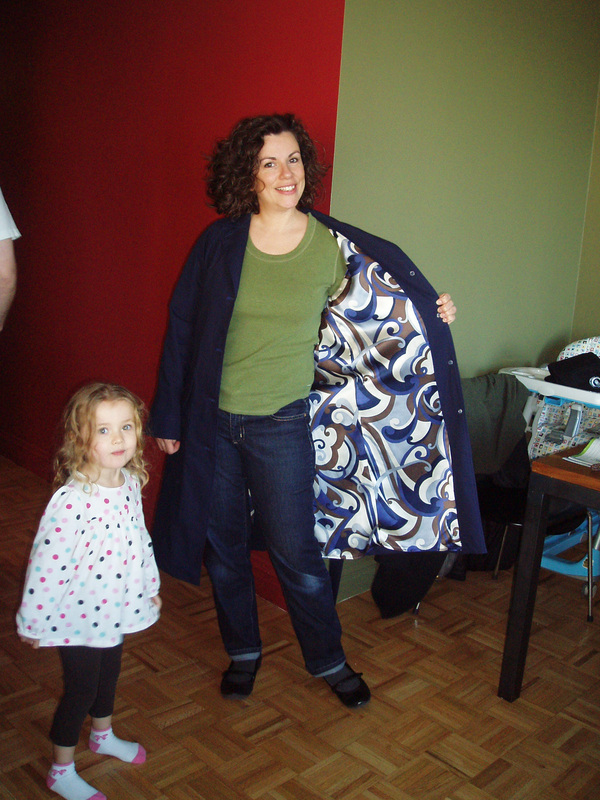 This entry was posted in Beginner, Burda, Coats, Pattern Review, Trench Along. Bookmark the permalink. Woohoo, it looks great! And that’s quite a list of firsts conquered in one project. I’m looking forward to meeting the trench in person one of these days. 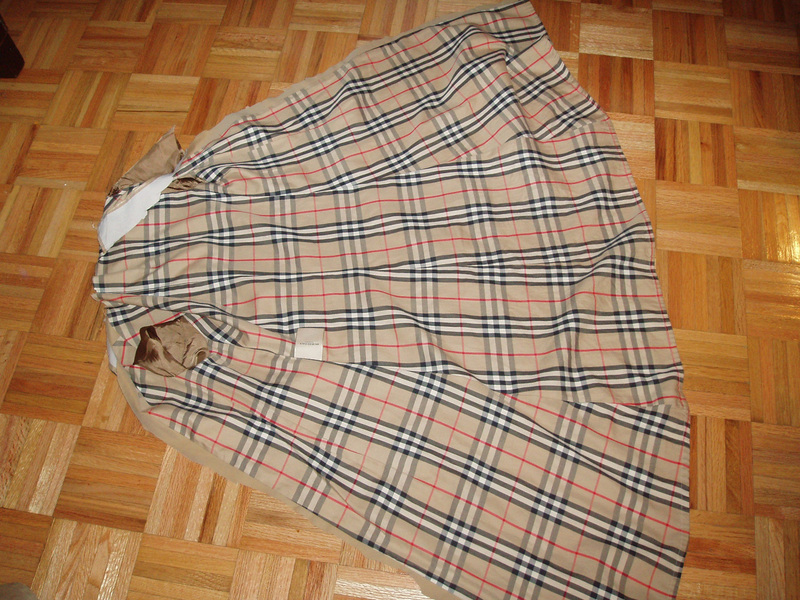 And RIP to the Burberry. You definitely scavenged the best of what was left. Your trench looks fantastic! The fit is great, and the lining great fun! I’m particularly jealous of your perfect top-stitching! Do you have a trick to getting it that nice and straight and even? Great coat! 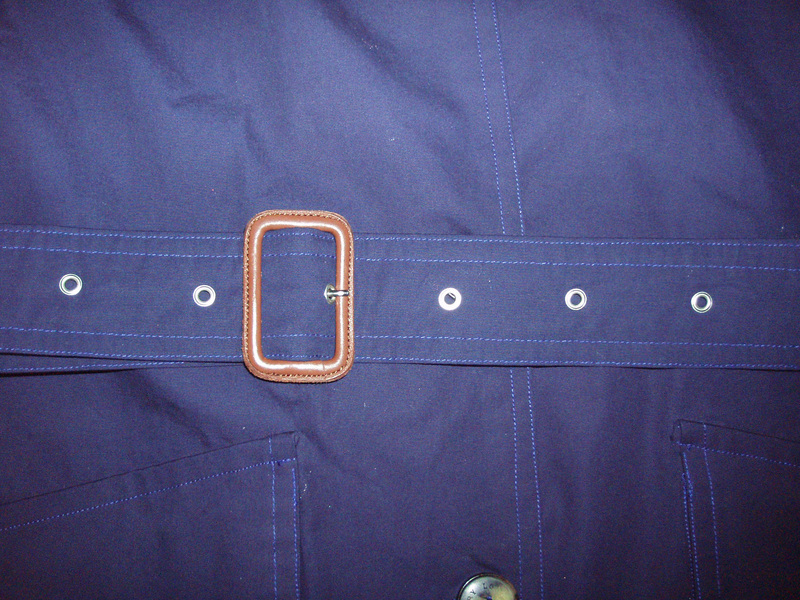 I’m in awe of anyone with the stamina to make a coat… Are you sure you’re a beginner? Not anymore, I’d say! I can’t believe a beginner made a coat like this. It looks fabulous and I love the lining. I’d love to hear how you attached the lining as that is a total mystery to me. Awesome coat and totally love the lining. You did a superb job! Great job. The lining absolutely rocks! Absolutely wonderful coat. And you have to change the name of your blog ;), you’re not a beginner any more. This project certainly proves that. Congratulations on finishing such a project. I love, love, love the lining! Not to say that you did not do a fantastic job on the coat but I’m a sucker for colors and prints. E, you should be very proud of yourself that you finished this project with such a wonderful result! NOT a beginner any more! Congratulations on a superb job. Definitely does NOT scream “homemade” – or worse, “novice sewist”. At all. Incredible! You did a superb job! I am so proud of you! Is Jack giving Katie a kiss in the one picture? Your trench looks wonderfull. 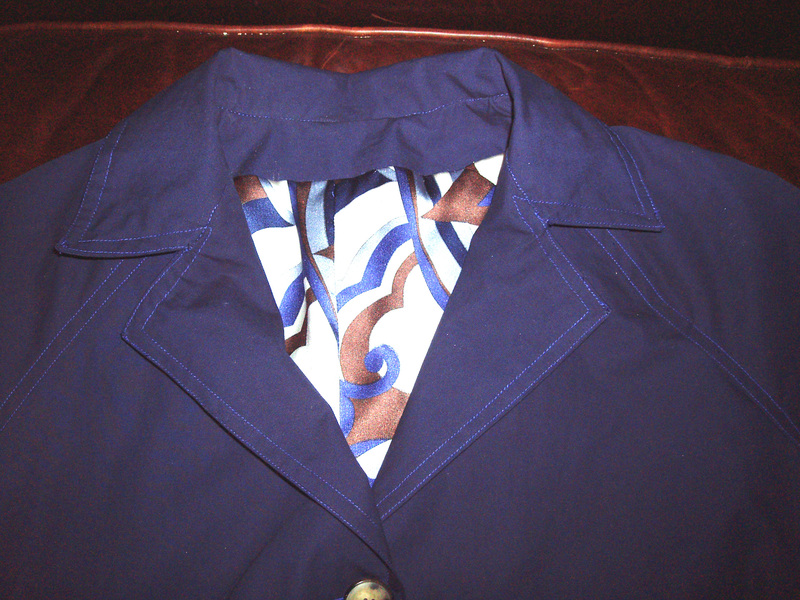 Love that color blue and the lining that makes it pop. You will get many years of wear from it. 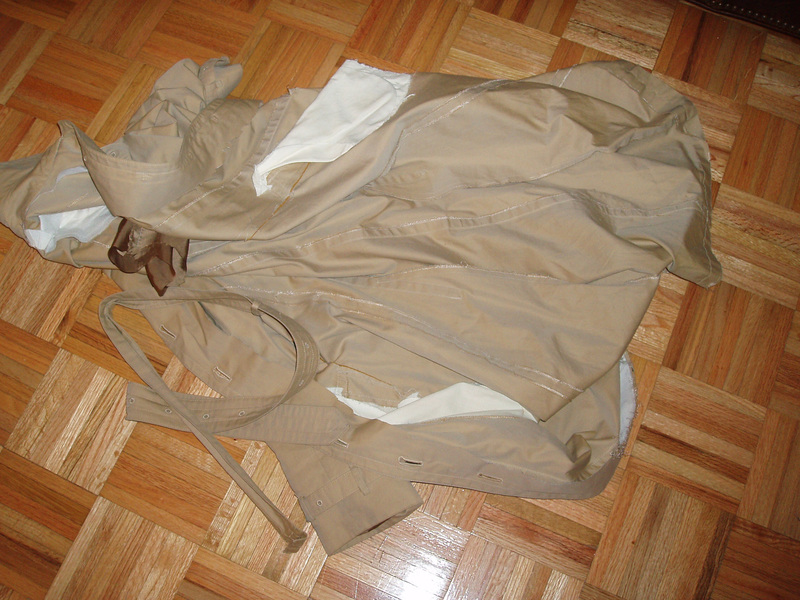 You did a wonderful job on your trench coat. It is really lovely. And you say you are a beginning sewest? Not anymore! 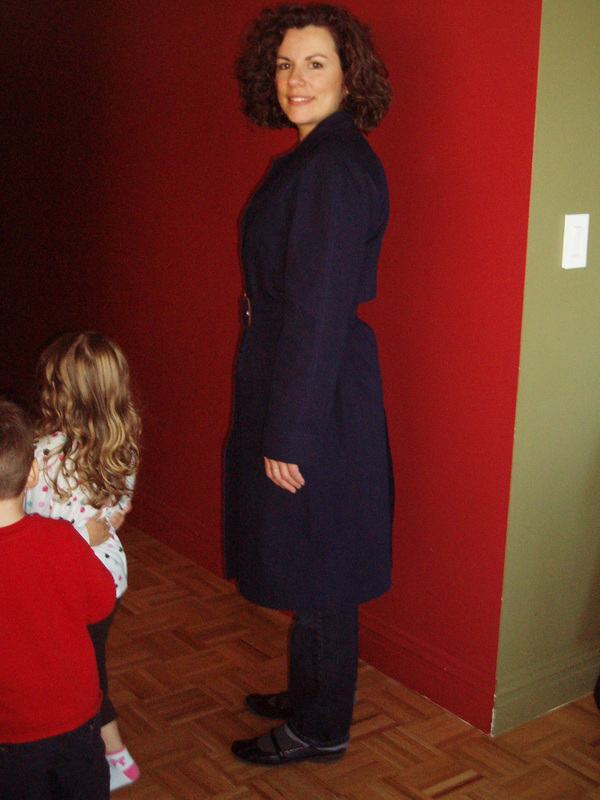 Fantastic job on the Trench coat. Saw your review at PR and glad you linked to your blog. 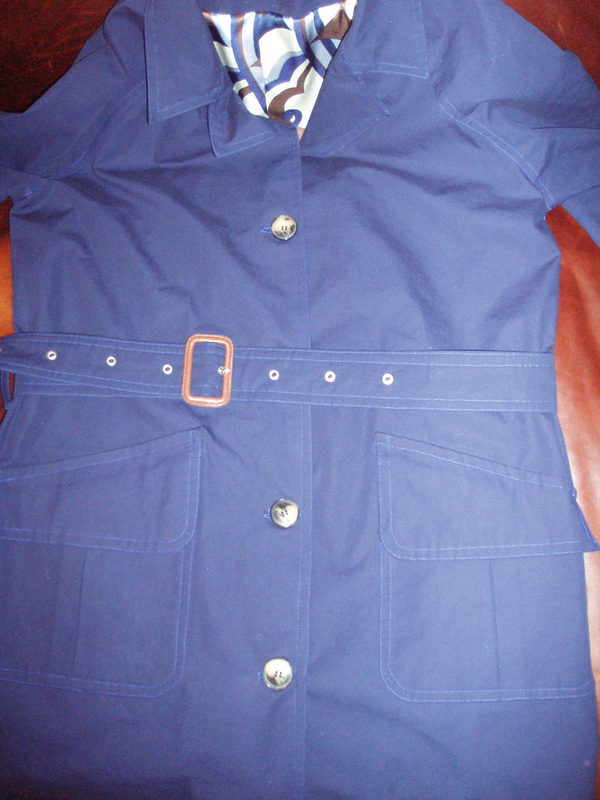 What a lovely shade of blue and great lining. Wow! This is just so impressive. I never would have tackled this as a beginner. Too scared! But you did great. Give yourself a big hand. 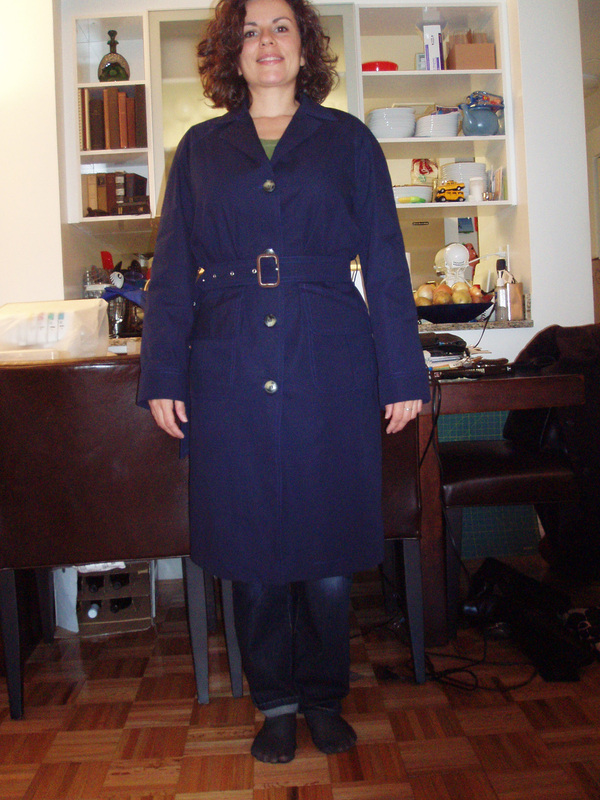 Fabulous trench coat – very professional! wow, your coat looks just fantastic! 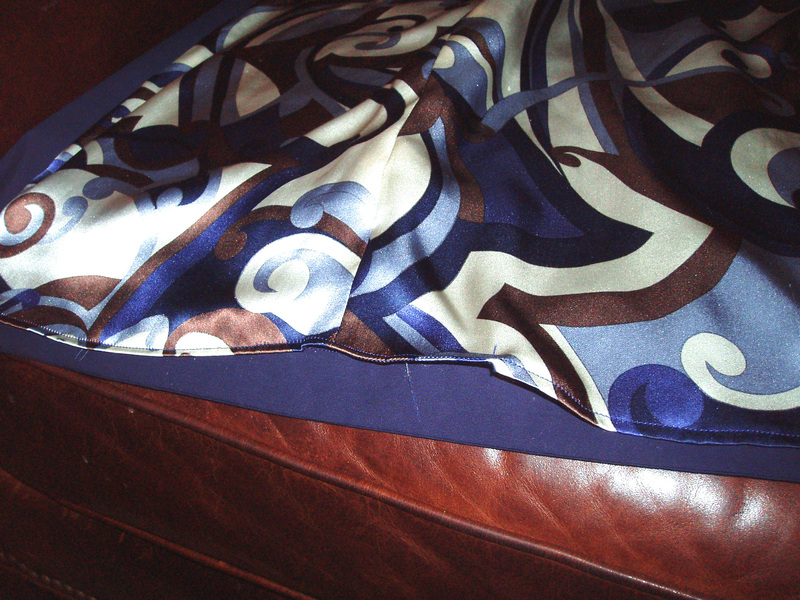 I sure would hang onto that burberry lining, too- it is such special fabric. beautiful work!